How well viewers respond to Claude Miller&#146;s new film, La Petite Lili, will probably have a lot to do with how they respond to the lead actress, French starlet Ludivine Sagnier.A coltish beauty who made a name for herself in Francois Ozon&#146;s 2000 film Water Drops on Burning Rocks and again with her scene-stealing turn in Ozon&#146;s 2002 musical 8 Women, she broke out with last year&#146;s Swimming Pool. Playing a damaged and hostile teenager, she struck a balance between childlike innocence and sinister deception.La Petite Lili&#151;an official selection at Cannes 2003 alongside Swimming Pool&#151;draws on the same complexities in its lead actress for a modern-day retelling of Chekhov&#146;s classic play The Seagull. After an opening scene in which Lili (Sagnier) and her boyfriend Julien (Robinson Stevenin) make love in the woods, Julien is revealed to be an aspiring filmmaker.He has made an overly sensitive art-film using Lili as his muse and has called together his extended family to their country home to screen it for them.Julien&#146;s mother Mado (Nicole Garcia) is a famous actress and her lover Brice (Bernard Girardeau) is a well-known writer and director, so Julien is cautious and anxious about their response.When his mother interrupts the screening with an obnoxious assortment of distractions, calling his film &#147;a provincial Bergman rip-off,&#148; Julien erupts in rage.He directs his anger at Brice, who has made a name for himself helming typical &#147;tradition of quality&#148; French films, despite Brice&#146;s protests that he likes the film. Several key scenes capture the entire ensemble, which includes a local young woman Jeanne-Marie (Julie Depardieu) who is in love with Julien, as they enjoy an open-air meal. Julien again explodes at Brice at one of these, then promptly sets off into the woods, leaving Lili and Brice alone to talk.Lili has taken notice of Brice and is infatuated with the film industry talk.She eventually convinces Brice to take her to Paris and help her get established in the business.Mado, it would seem, has been through this sort of thing before. The film&#146;s second half takes place five years later, as Lili, now a famous actress, runs into a reunited Mado and Brice on a film set.They inform her that Julien has written a screenplay based on that tempestuous summer five years prior and is setting about filming it.With her outsized ambition flaring, Lili decides she wants the part based on her. Eventually, this leads to a film-within-a-film that doesn&#146;t so much celebrate the art of filmmaking a la Truffaut&#146;s Day For Night (on which Miller worked as production manager) as allow the film&#146;s principle characters to gather together in a simulated backlot version of their family dysfunction. The simplicity of Miller&#146;s story doubles upon itself in its symmetry; mother-son pair Mado and Julien are bitter towards others and protective of their own successes, while their respective lovers are exploitative climbers. 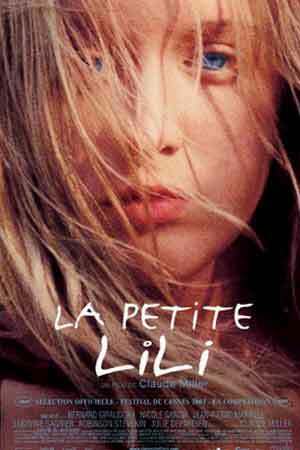 Ultimately, there&#146;s not all that much to La Petite Lili.Unlike his 2002 film Alias Betty, a Kieslowski-esque story of a kidnapping that nets a group of strangers in a web of class intrigue along the outskirts of Paris, Miller&#146;s new film centers on a small family of wealthy, prominent celebrities, whose indulgent infighting feels forced and predictable once the murky relationships straighten themselves out.The proceedings are kept afloat by Miller&#146;s fine ensemble of actors, from brooding River Phoenix-lookalike Stevenin to the lovely Sagnier, but their summer romance never quite captures the gravity of the Chekhov source material. If his DV experiment is any indication, Julien&#146;s big budget update might be one to steer clear of.Miller fares slightly better, but there&#146;s no denying that, while intermittently fascinating, this is still a minor film.